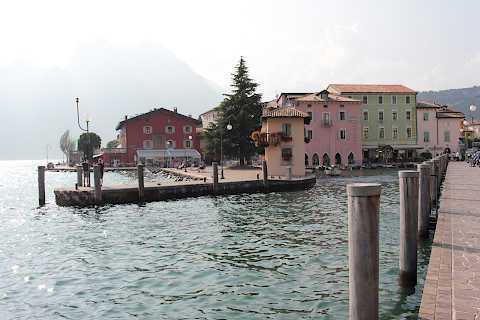 The resort of Torbole is on the northern edge of Lake Garda in Italy, a few kilometres east of Riva del Garda. 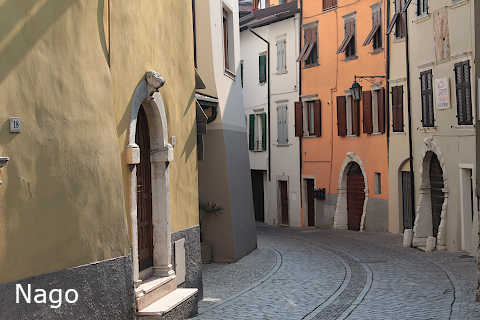 Italy This Way comment: be aware that Torbole is a very small resort with little more than a small harbour and a main square, so much less to explore than in Riva del Garda. I think my photo gallery below gives the impression of a much more substantial resort than you will actually find! 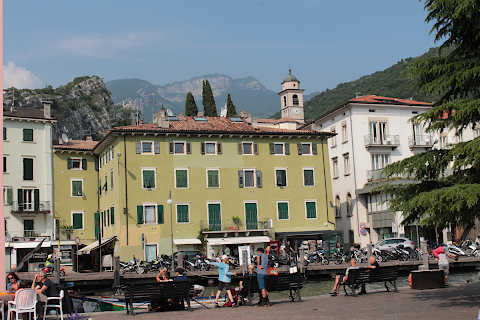 Although it is a small resort, Torbole is quite attractive and seemed very popular and busy when we visited, with cyclists and motorbikes everywhere as well as hundreds of pedestrians. 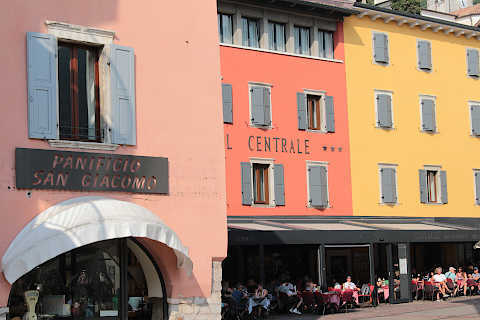 As there were also quite a lot of cafes and restaurants that seemed designed to appeal to young people, I think that Torbole is perhaps the young fun resort compared with the elegance and grown-up charm of nearby Riva del Garda! 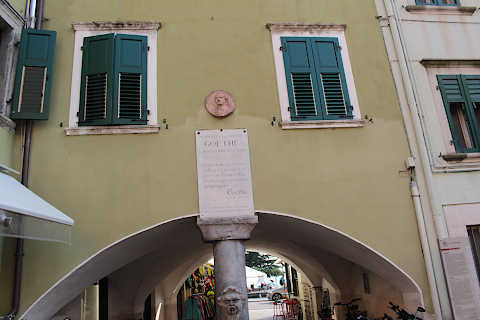 You will see a plaque on one house in the town centre commemorating Goethe, the famous writer, but apparently he only spent one evening in the house and left early the next day, so a plaque seemed a bit over the top. 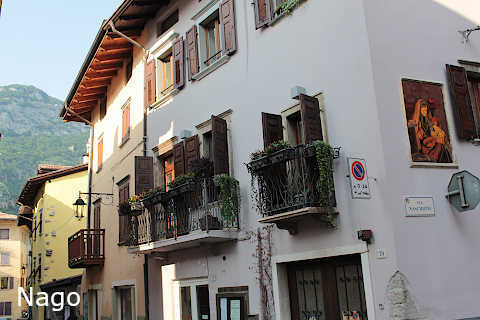 The town is mostly a centre for activities in the nearby hills and mountains as well as on the lake, and these are the main attraction of Torbole. 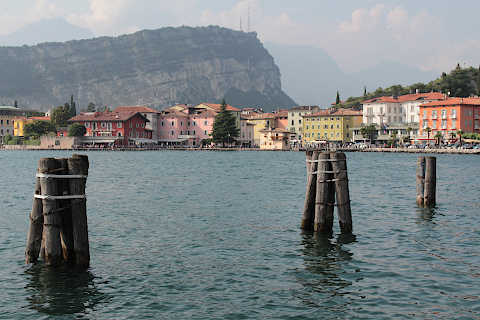 One of the most popular activities is the footpath between Torbole and Tempesta, which has amazing views from the mountains south-east of Torbole without being too difficult - although you should carry water, and walking shoes are recommended. The path is about three kilometres long and the steeper parts of the path are on very secure metal ladders (with barriers). 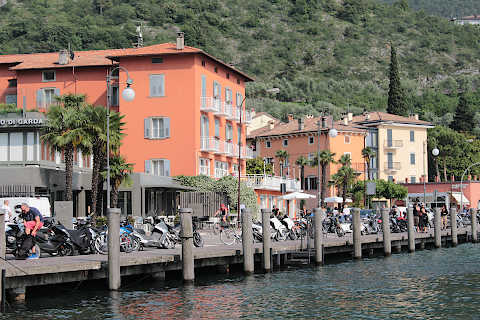 Remarkably, Torbole is also a very popular destination for wind-surfing and competitions are often held here. Apparently the wind from the mountains to the north makes for very good windsurf conditions in the morning, and the strong winds up the lake from the south do the same in the afternoon. 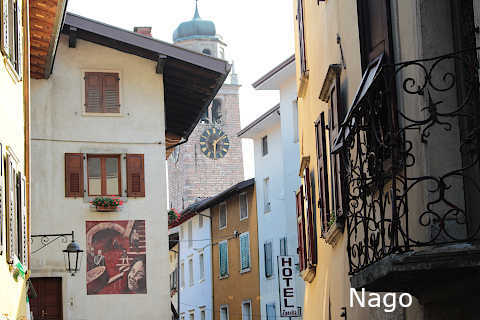 A short distance north of the town there is a historic village called Nago. 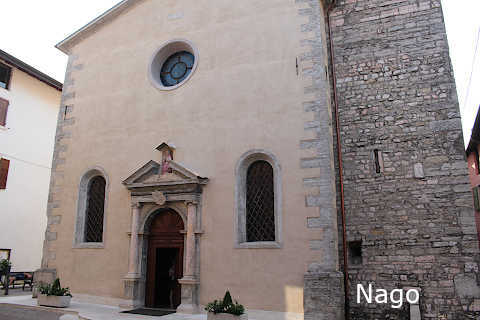 There is little to see in the village (despite what my photos might suggest) but it makes for a nice (if steep) 30 minute walk from Torbole - as well as a pleasant walk, you can see a waterfall and rock formations called the Marmitti dei Giganti when you get close to Nago. 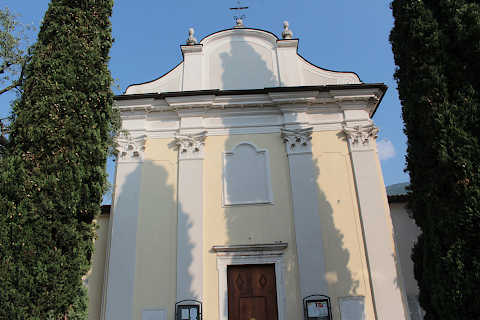 You can also reach the Marmitti dei Giganti from Nago, which is a much shorter walk but is unsignposted and involves walking along the edge of a busy road - it seemed a bit dangerous to me so I suggest getting here when there is not too much traffic! 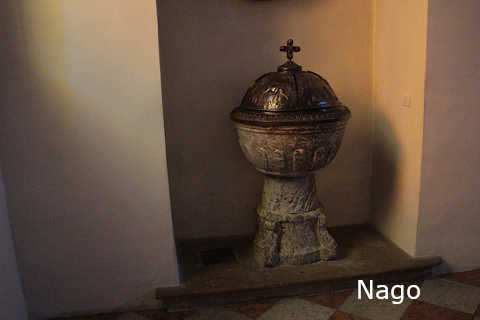 In the Fort of Nago, built in the 19th century, you can visit a small local museum and also a restaurant. Another picturesque walk from Nago is to continue up the hill to the Penede Castle above the village, for more beautiful views across the lake and now including the rooftops of Nago. 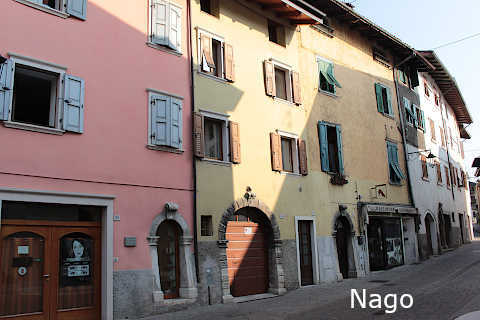 You can reach several of the resorts around the north of Lake Garda from here: the most charming are Riva del Garda to the west of Torbole, and Malcesine on the eastern shore of the lake, south of here. 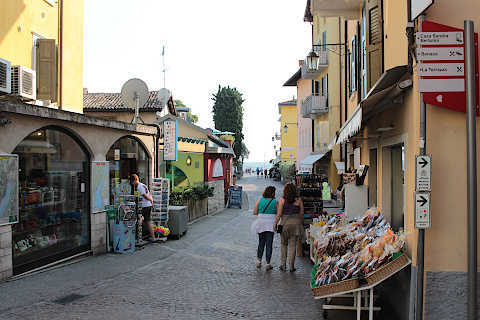 See the Lake Garda guide for more information about these and other places nearby.